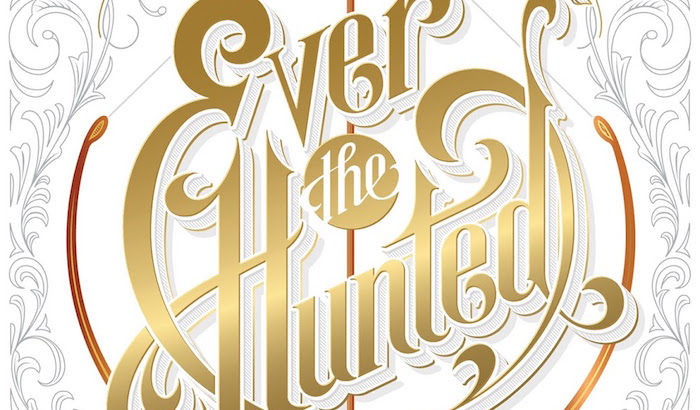 When I first came across Ever the Hunted by Erin Summerill, my first thoughts before learning more about Britta and the plot were that of the name itself, and my growing curiosity in regards to it's backstory. My thoughts after reading the synopsis, additionally, completely hooked in me into adding Erin Summerill's first book in the Clash of Kingdoms series to my TBR list. I couldn't wait to step into the shoes of the young bounty hunter, get a feel for this new world Erin had created, and to journey along with Britta through her highs and lows. Britta was an excellent female lead, one I greatly admired and found slightly familiar to Katniss (The Hunger Games) and Celaena (Throne of Glass). Being a high fantasy young adult title, Britta featured many of the, and I hate to say, 'cliched' personality traits I've come to know from several successful fantasy series', but Britta still, in my case, seemed to shine right through the pages into her own unique being. As a young girl who has lost her father, a legendary bounty hunter, to a mysterious killer, and who is also left to her own devices in the Ever Woods, I found myself being drawn and sympathetic towards her, not something I've always experienced with fantasy characters. Ever the Hunted, as a whole and plot-wise, served to be quite an entertaining and imaginative read, albeit a bit cliche in some aspects. I enjoyed the mystery and the chase behind it all and can say with absolute certainty that I will be staying tuned for the second in the Clash of Kingdoms series. 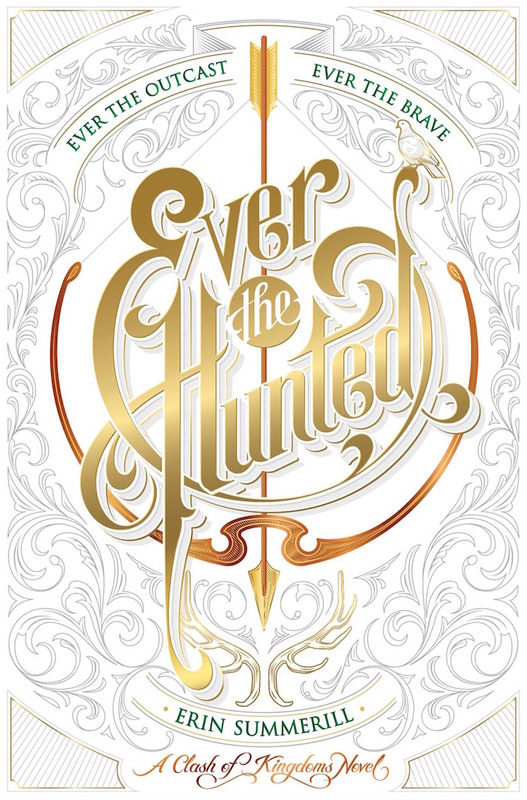 Ever the Hunted by Erin Summerill, overall, was a highly entertaining YA fantasy with a promising start to a brand new series. I positively recommend the title to any reader with a hankering for a good fantasy and a need for a new world to explore. Erin Summerill will not disappoint! I've been a Jennifer L. Armentrout (J. Lynn) fan since the moment I popped open an ARC of her first ever title, Half Blood. 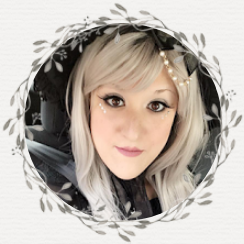 I fell head over heels for her style of writing, her imaginative characters, and the immense drama she brought to life in each and every unique world she created. When the first in her Wait for You series arrived, I was instantly sold! I immediately fell for Cam and Avery and adored their story to pieces. Now in book 6 of the series, Fire in You finally gives readers the tale of Brock and Jillian, two characters we've been lucky to meet in previous titles, but have always wondered about. "I loved you when I was eight. I loved you when I was twelve. I loved you when I was twenty, and I... I love you now." What can I say about Brock and Jillian? Hmmm....Well I loved them! I'd have to be crazy not to fall for the duo. Jillian, almost immediately, resonated with me. I could identify with her insecurities in addition to her strong will power. She had a powerful and traumatic past, but I absolutely adored her independence, reliability, and overall willingness to also be on board to help her family and others. Brock, in addition, wasn't the kind of character I had initially assumed he'd be. He was hard to like at first, but as Fire in You progressed, I started to see him as one of the best male leads in the Wait for You series. Overall, Fire in You was an excellent addition to Jennifer's Wait for You series. Highly recommended for contemporary, romance, and new adult readers, you'll certainly fall just as hard for this likable duo. The compelling, inspiring, and comically sublime story of one man's coming-of-age, set during the twilight of apartheid and the tumultuous days of freedom that followed. 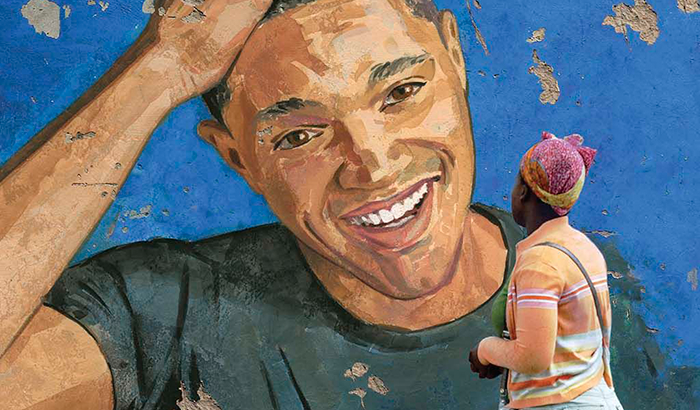 I've been a huge fan of Trevor Noah since his taking over of the Daily Show. The now 32 year old instantly captured my attention with his wit, humor, and his incredible and personable way with people. It was expected that I'd be on board with his first book, Born a Crime, the moment Penguin Random House of Canada announced it at one of their book lover meets at their HQ. What I didn't know, however, or expect rather, was how emotionally moving the series of personal essays would truly be, nor how life changing the experience would become. 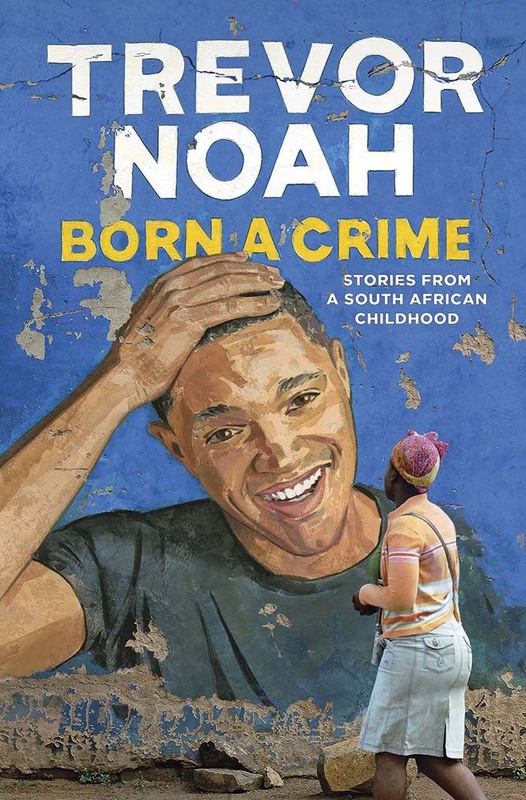 Trevor Noah's Born a Crime follows the path and tale of a young man born in South Africa, one of whom who's mere existence was a criminal act. Being born to a white Swiss Father and a black mother, something that was punishable by imprisonment, Trevor found himself living in hiding for most of his early life, put under strict rules in order not to be discovered. In this time, we begin to get to know Trevor's young point of view during this trying time, his ups, downs, and even his mischievous side. It was a powerful and moving roller coaster of events, not only about a young boy trying to understand why his existence was so punishable by the law, but also about a mother who would do absolutely anything to protect her son, but also her irrevocable and un-moving unconditional love. It was a positively inspiring and empowering title and I wholeheartedly recommend it to all who not only watch The Daily Show, but to those who inspire to not only change the world but challenge racism and sexism around the world. Anyone else's Christmas wishlist FILLED with books? Forget everything else, I feel like I'm constantly eager for more and more titles, especially when it's time for Christmas! It's fair to say that A LOT of this month's upcoming releases will be on my wishlist, including the Red Queen and The Selection coloring books, not that I needed more coloring books. So what's on your wishlist for Christmas? Anything you're particularly eager for? Be sure to let me know in the comment section below! Also, don't forget to bookmark or possibly even share (wink wink) this month's Fresh on the Shelf post. Giveaway is for one book from the above December 2016 releases to be awarded to one reader. Open to anyone who can receive shipments from The Book Depository. I am not responsible for lost, stolen, or damaged books received. Please fill in entries accordingly for a valid entry. Good luck!